This article was originally published in the Journal of Commerce on Nov. 13, 2018. As the trade dispute between the U.S. and China continues, businesses in America are beginning to face the harsh reality that the cost efficiencies generated by offshoring production to China are being rapidly negated. A recent Reuters report, citing a business survey conducted by the U.S. Chamber of Commerce in South China, revealed about 70 per cent of American companies in China are considering relocating production, though only one per cent are eyeing reshoring it to the U.S. Such numbers are hardly surprising when one considers the breadth of products affected by U.S. tariffs on Chinese imports, not to mention the fact the tariff rate will be increasing from 10 per cent to 25 per cent on January 1, 2019. Many of the companies we work with have approached us with questions about how they can mitigate the impact of tariffs. My colleague, David Rish, recently wrote in the Journal of Commerce about some of the key actions mid-sized American firms can take to reduce the impact of the trade war on their business. One of these actions is reviewing and challenging how products are classified. 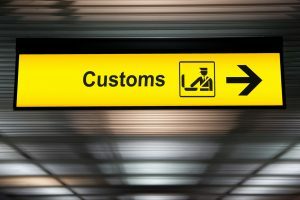 Without question, Customs & Border Protection (CBP) will be reviewing imports from Asia with increased scrutiny and carrying out audits on those companies it believes are misclassifying imports. In fact, CBP is planning to increase its auditing staff to pinpoint violations related to the Section 301 tariffs against Chinese imports. The tariffs being collected on Chinese imports represent a significant influx of cash into government coffers, hence the heightened vigilance by CBP and the need for importers to approach classification even more scrupulously. Importers of record must be equally alert to how products are being classified, particularly when working with overseas exporters who may be willfully or unwilfully trying to skirt the system by declaring goods with the wrong country of origin or an incorrect HTS code. The stakes are far too high to leave this unaddressed. In some cases, companies could see penalties that equal the full value of a shipment, plus retroactive damages that have the potential to triple the customs costs associated with the shipment.